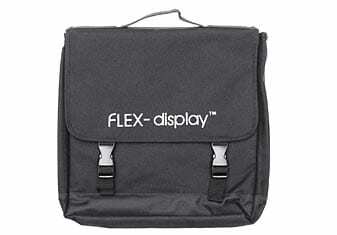 The carry cases for FLEX-display are made from heavy duty nylon for strength whilst still being lightweight for portability.They are fitted with hand straps and each has a full length zip.The bags are designed to hold the full system i.e. base poles clips and graphic. 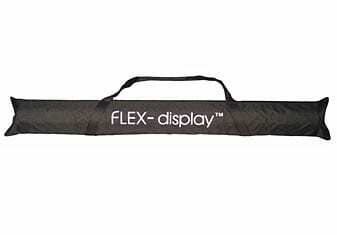 They are available in 5 sizes which cover the range of display and base sizes. 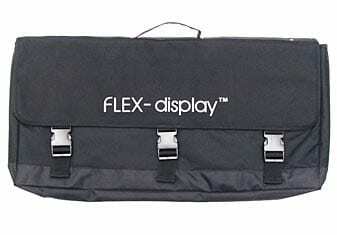 A flat base plate must be carried separately from the graphic, poles and clips.We have designed special bags for these bases and each case is able to house multiple bases.